An opportunity has arisen for a volunteer to represent the Institute on the JCLI Contracts Forum. JCLI agrees and badges commercial and domestic project standard forms of contract and associated guidance documents for the landscape industry. The contracts and guidance are produced and published by individual member organisations. Examples of current documents. The JCLI Contracts Forum is organised by the Landscape Institute. Its members are the Association of Professional Landscapers (APL), the British Association of Landscape Industries (BALI), the Horticultural Trades Association (HTA), the Institute of Chartered Foresters (ICF), the Landscape Institute (LI) and the Society of Garden Designers (SGD). 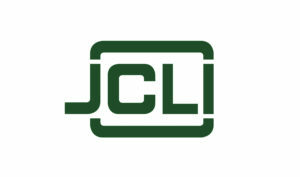 The JCLI badging of contracts is considered important for two main reasons: firstly, because ‘JCLI’ has a strong reputation for contracts, based on the reputation of the Landscape Contract originally produced in 1978; and secondly, because the documents are agreed by the members of the Forum and are therefore non-partisan industry standard documents. To fulfil this role we are looking for a strategic thinker with an interest in, or experience of, contract documentation and management. With a background in domestic or commercial landscaping, landscape management, arboriculture and forestry you will have technical skills in plant specification and procurement, plant handling, general soft landscaping, aftercare and maintenance. All Institute representatives serve an initial three year term. In addition to attending the meetings, we ask that Institute representatives provide reports to ICF Council and occasional updates for Chartered Forester magazine. A fuller briefing document is available on request should you be interested in the role. The role is not remunerated but all out of pocket expenses will be covered by the Institute. Actively shaping the future of your profession. If you are interested in representing the Institute, then please provide a short statement covering how your skills and experience could best be used in this role. This should be no more than 300-400 words and be sent to the ICF Technical Officer, Rob Hawkins no later than 5pm on 1st December 2017.